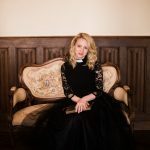 I never dreamed that I would be an “Award Winning Wedding Officiant,” but Ruffled By Grace has won a 2019 Wedding Wire Award. It is such an honor to receive this Couple’s Choice Award. Thank you to everyone who encouraged me along the way, even when I said “No Way.” Thank you for the pokes and prods and artistic voices. Even though I have married so many couples since my ordination to the Ministry of Word and Sacrament in 2005 (in the Presbyterian Church), it wasn’t until a couple of years ago that a vision for blessing even more couples OUTSIDE of the church doors was laid on my heart. Last year, when I “officially became an officiant,” it was a step that began a new kind of ministry in Paris. With so much encouragement from the people around me, I took a grand leap of faith. It was so incredible to hear couple’s stories, and to be able to bless couples who have left the church, or who have felt marginalized by the church, but who desired a holy moment at the beginning of their married life. What a privilege it has been to speak love over people’s lives, to bless people, and to give grace so freely. I could never have asked or imagined this role, but I am so SO thankful. It was a surprise to see this little award in my inbox. I don’t really do a great job of asking for reviews! So…. Thank you to my couples. Thanks also to the amazing vendors (especially the photographers!) with whom I have worked. Finally, thanks to my officiant colleagues and friends. You guys, we did it! We won a Wedding Wire Award! Cheers to 2019, and all that is in store for us. Are you getting married in 2019? I would love to bless you. Click here to chat with me about your wedding. Be sure to follow along on Instagram for all the latest and to see picture perfect Paris wedding inspiration! 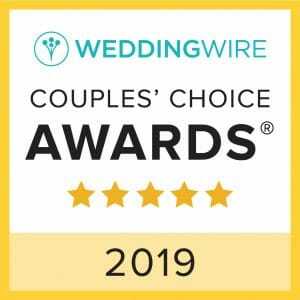 Ruffled By Grace won the 2019 Couple’s Choice Award from Wedding Wire.